Cosmologists have begun to think seriously about processes that occurred before the Big Bang. Alan Coley from Canada's Dalhousie University and Bernard Carr from Queen Mary University in London, have theorized that some so-called primordial black holes might have been created in the Big Crunch that came before the Big Bang, which supports the theory that the Big Bang was not a single event, but one that occurs over and over again as the Universe crunches down to a single point, then blows up again. In some circumstances, they say, black holes of a certain mass could avoid this fate and survive the crunch as separate entities. The masses for which this is possible range from a few hundred million kilograms to about the mass of our Sun. The theory is based on the fact that the Earth, and the rest of the known Universe is occasionally bombarded with unexplained bursts of gamma rays — something that could, according to Coley and Carr, be the result of primordial black holes running out of energy and disintegrating. These small black holes ought to evaporate away in relatively short period of time, finally disappearing in a violent explosion of gamma rays. Some cosmologists say this thinking might explain the gamma ray bursts that we already see from time to time. Primordial black holes are thought to be of a different type than the regular kind that are formed when a supernova occurs but rather formed in the first “moments” after the Big Bang. Primordial black holes would be smaller and created by the energy of the Big Bang itself and would then have been widely dispersed as the Universe expanded. 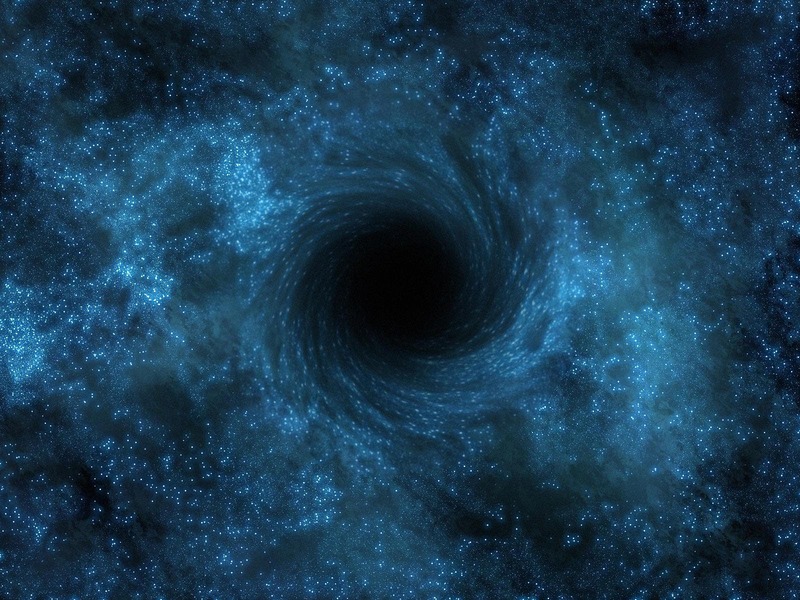 In their theory, however, Coley and Carr suggest that some of these black holes, if they actually exist, might have been created by the collapsing Universe as part of the Big Crunch, and then somehow escaped being pulled into the pinpoint singularity comprised of everything else. And then, after the Big Bang, they simply assimilated with the newly formed Universe. A key problem they agree on is that it would likely be impossible to tell the difference between pre- and post Big Bang primordial black holes. * The theory raises major questions for cosmologists: if the Universe contracts, then blows up, over and over, has this gone on forever? Or is it possible that our view of the Universe is so limited that we’re only seeing one tiny fraction of it, and thus, any theories or explanations we offer, are little more than guesses. Image at the top of page shows co-orbiting supermassive black holes powering the giant radio source 3C 75. Surrounded by multimillion degree x-ray emitting gas, and blasting out jets of relativistic particles the supermassive black holes are separated by 25,000 light-years. At the cores of two merging galaxies in the Abell 400 galaxy cluster they are some 300 million light-years away. Such spectacular cosmic mergers are thought to be common in crowded galaxy cluster environments in the distant Universe. In their final stages the mergers are expected to be intense sources of gravitational waves.